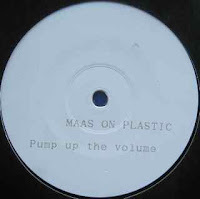 Thinking about the last post on The KLF's contribution to sample-based music as a method of achieving pop chart success, brings to mind "Pump Up The Volume" by M/A/R/R/S, the first of the do-it-yourself-by-not-doing-it-yourself sample-based house music UK # 1, way back in 1987. Everyone's got a copy, so no need to post it here; but I will put up 2 of Timo Maas' 1999 reinterpretations. There's a third mix in a break beat style on the 12" but for some reason I didn't feel the need to record it so you won't find it here. Sorry. Timo Maas (or Maas On Plastic here) couldn't secure a full release - so it remains one of those secret weapons to drop to a pumped up party; gritty, techy, but not very deep. 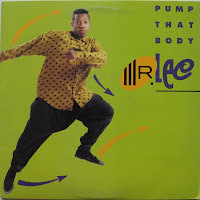 In a different vein, I've also got Mr Lee's "Pump That Body" from 1990. Not his finest work, but a good example of 1990s hip house, a style which had well and truly reached its peak by now. By the way, it's also a good track for a pumped up party.